While doing some testing with an i7-4960X Ivy Bridge-E CPU for another review, I decided to test the power consumption of the CPU over a range of overclocks. 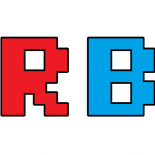 It is certainly interesting to see how the power rises with relation to both CPU speed and voltage – if previous experience is anything to go by, raising the voltage has more of an effect than raising the MHz. We took our i7-4960X from stock all the way to a measly 4.6 GHz, because this is all our sample could do. So of course each CPU has a different minimum voltage for stability. 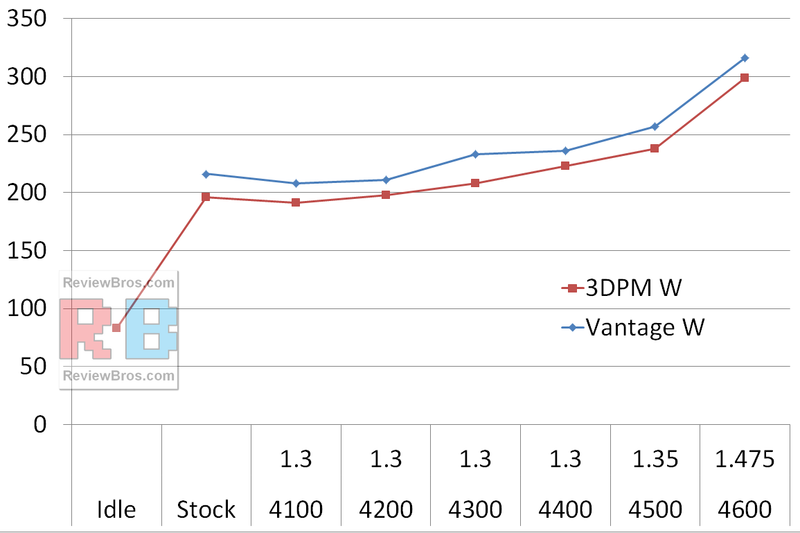 At each voltage/speed combination, we test the peak power consumption using our 3DPM benchmark and 3DMark Vantage, as well as taking the 3DMark Vantage CPU score as a comparison point of performance. All power consumption values used here are from the wall, so include the system as a whole. Here we see a stock power consumption, during 3DPM, of around 196 W. Pushing through to 4.5 GHz at 1.35V, this rises to 238W, and finally hits 299W at 4.6 GHz, making a total 100W increase. 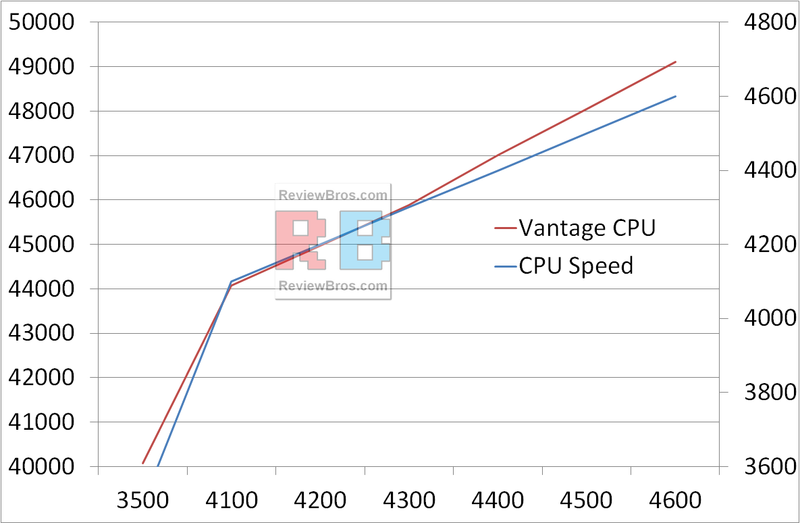 The rise is almost linear with CPU speed. We did this with default memory timings, and the general rule seems to be CPU Score = 10*MHz+3000. As I said previously, this chip seems to be a bit of a dog. Speaking to 8Pack at OCUK, his ‘quick bin’ test on air is 4.8 GHz at 1.4 volts, Vantage stable. We went for 4.7 GHz with this chip, and even at 1.575 volts (which is way too high for air) it was still BSODing during 3DMark Vantage. So a general rule: keep volts low to keep power consumption down. When the turn comes (high voltage increase for low MHz), you are into the inefficient band for power consumption. For example, this chip would be good at 4.5 GHz at 1.35 volts, or 4.4 GHz at the same voltage for pure stability, in terms of a daily 24/7 setup. 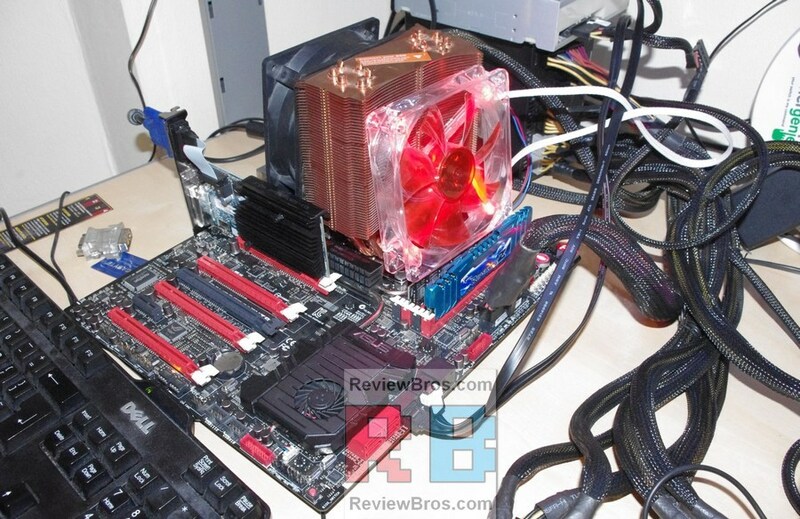 This entry was posted on 2013/09/13 by Ian Cutress in CPUs and tagged ASUS, CPUs, Intel, Ivy Bridge-E, overclocking, Power.